Neck injuries can range from a minor pain or stiffness that gradually heals to more severe trauma such as disc herniation or paralysis. Motor vehicle accidents account for about one-third of neck trauma injuries, followed by physical assaults, slip and falls and sports. 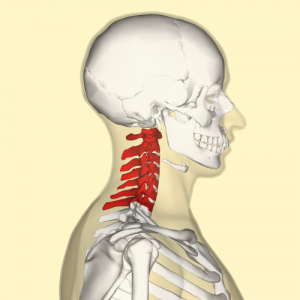 Because most neck injuries are caused by the negligence of a third party, you may be entitled to compensation. 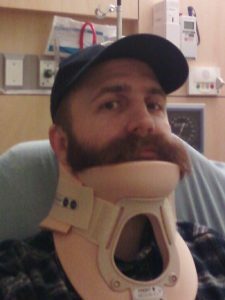 Contact a Boston neck injury lawyer Neil Burns if you suffered a neck injury from an accident in Boston or anywhere in Masschsuetts. In more extreme cases where victims suffer chronic pain, they may experience depression, drug dependency, post-traumatic stress disorder, anxiety and stress. Another painful neck injury is disc herniation. Trauma can cause the soft gel center of the disc, or nucleus, to be ejected through the outer part of the disc. Surgery may be needed to correct this often painful and debilitating condition that can cause radiating pain and occasionally paralysis. Other neck injuries include vertebral fractures, dislocation, and compression of the spinal cord and even severance of the spinal cord. Neck injuries are not always easily diagnosed and studies show that it is not uncommon for physicians to misinterpret X-rays. Also, poor radiology techniques or perfunctory physical examinations miss neck injuries or result in a delayed diagnosis in a high percentage of spinal trauma cases. Failure to detect a neck injury can lead to a worsening condition that can last much longer or have graver consequences than if detected at the time the injury occurred. A personal injury lawyer can assist you in obtaining the compensation you deserve in these cases, which may include a claim for medical malpractice. Proving your damages in a whiplash or connective tissue type injury case can sometimes be difficult since soft tissue injuries are difficult to objectively detect or quantify. Receiving prompt medical attention after an accident, documenting your pain and being consistent in your care and treatment can help dispel the doubts of suspicious insurance adjusters who will seek any misstep to deny or minimize your injury. Having an experienced neck injury lawyer who has regularly handled such cases can be instrumental in your getting the compensation you deserve. In more serious neck trauma cases, your neck injury attorney may have to file a lawsuit and retain an expert to assure that you can receive the maximum compensation available. If other responsible parties are involved, your personal injury lawyer can force them to contribute their share based on their degree of culpability. Since 1985, Neil Burns has represented the rights of neck injury victims against insurance companies and defense attorneys who work to deny you the compensation your case demands. Contact his office today for a free assessment of your neck injury case. We take no fees until we settle your case or obtain a money verdict.